On November 2, 2015, a large-scale exhibition ‘Moscow – the Holy Land of Prince Sergey Alexandrovich and Princess Elizabeth Feodorovna’ was opened at the State Museum of History. 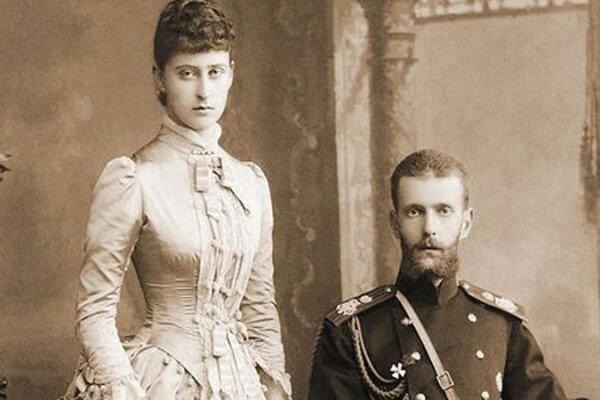 It is timed to the end of the year marking the 150th birthday of Princess Elizabeth Feodorovna and the 110th anniversary of the tragic death of Prince Sergey Alexandrovich. The exhibition is organized by the Elizabeth-Sergey Educational Society foundation, Russian Ministry of Culture, State Museum of History and ROSIZO state museum-exhibition center in cooperation with the Russian Orthodox Church and Patriarchate of Jerusalem with the support of the Russian Ministry of Culture and the Moscow city department of national policy, interregional relations and tourism. Taking part in the ceremony were Metropolitan Hilarion of Volokolamsk, chairman of the Moscow Patriarchate’s department for external church relations (DECR), Archpriest Nikolay Balashov, a DECR vice-chairman, and Mr. V. Legoida, head of the synodal information department. Among the attendees were also Moscow Mayor S. Sobyanin, Russian Minister of Culture V. Medinsky, Deputy Minister of Foreign Affairs M. Bogdanov, Deputy Minister of Culture Ms. A. Manilova, Deputy Mayor of Moscow A. Gorbenko and other city officials. There were also S. Stepashin, president of the Imperial Orthodox Palestine Society (IOPS), and Ms A. Gromova, chair of the supervisory board of the Elizabeth-Sergey Educational Society, a foundation for promoting the revival of the traditions of mercy and charity. Present at the opening were also representatives of state museums, archives and church museums as well as private collectors in Russia. In his address, Mr. Medinsky reminded the audience that Sergey Alexandrovich, an uncle of the last Russian Emperor Nicholas II, was one of the founders of the Museum of History and presided over its patron board for many years. ‘We remember the wife of the prince, Elizabeth Feodorovna, as an outstanding benefactor, leader of many charitable initiatives, founder of the Ss Martha and Mary Convent, who fully dedicated herself to the tasks of charity. For this, already in her lifetime, she was nicknamed the White Angel of Moscow’, the minister said. In his speech, Mayor Sobyanin noted the contribution made by Prince Sergey Alexandrovich to the development of the capital city and city traditions as Moscow governor-general for 14 years. Elizabeth Feodorovna, he said, made a considerable contribution to the development of the city charity, and her whole life journey was imbued with sincere religiosity and actions for the sake of the neighbor. Metropolitan Hilarion, speaking on behalf of His Holiness Patriarchate Kirill of Moscow and All Russia, said, ‘The event taking place today is unique and remarkable in many ways. All those who wish to come here will see precious exhibits speaking of the life of the two outstanding persons – prince Sergey Alexandrovich and Princess Elizabeth Feodorovna. ‘At a time difficult for Russia, filled with revolutionary moods, the spouses, Sergey Alexandrovich and Elizabeth Feodorovna, showed above all an example of responsible service of the Motherland and people. They showed an example of a married couple whose relationships were built on the profound faith in God. ‘After Prince Sergey Alexandrovich became a victim of terrorists, the princess dedicated the rest of her life to the cause of charity and mercy, for which, as already was mentioned here, she was nicknamed the White Angel already in her lifetime. ‘She suffered a martyr’s death. The Church has glorified the princess among the saints and today we ask her intercession as one of the heavenly patronesses of our capital city of Moscow. We remember her feat of selfless service and her faithfulness to Christ, which led her to Golgotha’. Metropolitan Hilarion thanked His Beatitude Patriarch Theophilos of Jerusalem, who offered to the exhibition two icons of St. Sergius of Radonezh and the Holy Protomartyr Elizabeth, the patron saints of the princely couple. These icons were commissioned by Prince Sergey Alexandrovich himself. In conclusion, Metropolitan Hilarion thanked Ms. A. Gromova and all those who contributed to the organization of the exhibition on behalf of Patriarch Kirill and on his own behalf. In her turn, Ms Gromova noted that the exhibition became a significant part of the solemn events timed to the end of the year marking the 150th birthday of Prince Elizabeth Feodorovna and the 110thanniversary of the tragic death of Prince Sergey Alexandrovich. According to the organizer of the exhibition, the life path of the princely couple was illuminated by the love of the Motherland. ‘I wish that their selfless service, their creative energy may inspire us and make us see the greatness of our history. We should be proud of our Motherland’, she stressed. The grand opening concluded with a performance of orchestras and choirs. J. Taverner’s Elizabeth Full of Grace was performed for the first time in Russia by the Gnesin Academy Chorus, Legato Chamber Orchestra and the Moscow Boys Choir. After the concert, the guests saw the display including over 400 historical exhibits including the princely couple’s personal belongings, their gifts to Moscow museums, contributions to churches in the Holy Land, archive documents, photographs, and works of arts, applied arts and jewellery.